Many American tattoo designs were born of the Old School style, one of the original tattoo art styles which featured bolded lines and a basic colour palette. These designs often depicted symbols that were central to the United States’ ethos, such as the bald eagle or the American flag. If you’re interested in learning more about the meanings behind these popular American symbols, check out our list below. American Flag: the American flag, also known as the star spangled banner, is a tattoo design that represents honour, dignity, and respect for the United States. It’s also a symbol of freedom and liberty. The red stands for valour, the blue stands for justice and freedom, and white stands for purity. Eagle: the bald eagle is a symbol for freedom in the land of the free, and it stands for the bravery and honour in the American spirit. Gadsden Flag: this flag features a coiled snake with the tagline ‘Don’t tread on me,’ and it’s named after American general, Christopher Gadsden. It was created during the American Revolution, and it represents American independence and freedom. Pin-up Girl: popular in the 1890’s, when men’s magazines started to feature more scantily clad women, the pin-up girl represented the prototypical attractive American woman. These became widespread during war, and they were especially popular within the military. Soldier Memorial: this design features a soldier uniform hung up on a rifle, by an empty pair of combat boots. This tattoo design commemorates soldiers in war, and celebrates their contributions. Statue of Liberty: originally conceived as an emblem of friendship between the United States and France, the Statue of Liberty is the ultimate symbol of freedom. Located in the upper New York bay, this inspiring statue is a famous landmark in the city. Uncle Sam: painted in 1916 by James Montgomery Flagg, the Uncle Sam “I Want You” poster was designed to recruit soldiers for World War I. This classic image represents American patriotism. 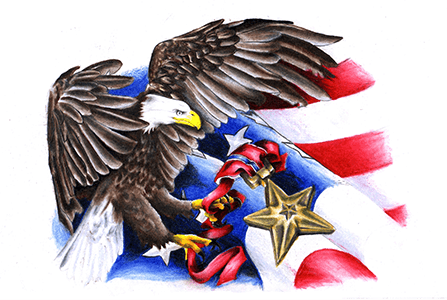 Many American tattoo designs are strong symbols for patriotism and cultural values that are closely protected in the United States. Most of these designs have a solid basis in historical events, and the tattoo designs are based on images that resonate with the American people. 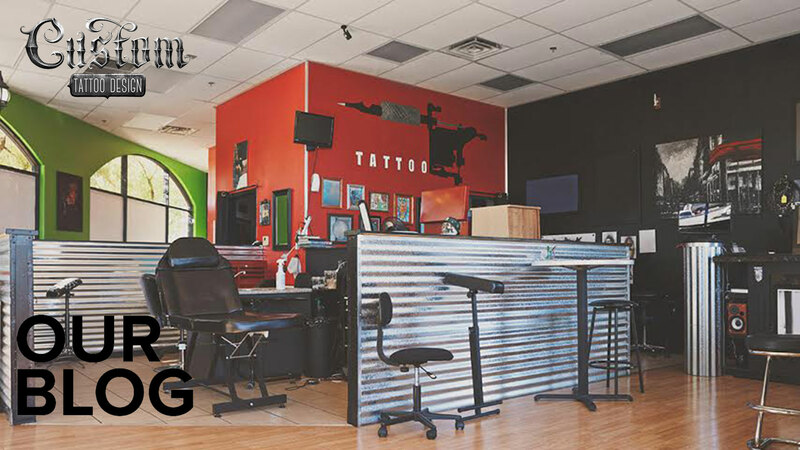 If you know of other significant American tattoo designs, let us know about them in the comments section below!